Good news email marketers! From today you can pay with Bitcoin, Bitcoin Cash or Ethereum when paying my services. Of course, you prefer you can choose PayPal as your payment option. Basically, there is nothing on my site you can not pay for with Cryptocurrency, either Bitcoin, Bitcoin Cash or Ethereum. with a special discount when you pay with Ethereum or Bitcoin. Read more about it below. Get access to my Full DIY Bulk Email Server Guide for just $75 (regular price $99) when you pay with Bitcoin, Bitcoin Cash or Ethereum. Get access to EVERYTHING including Software, Bonuses, Extras and of course Full Guide for only $300 (regular price $400) when you pay with Bitcoin, Bitcoin Cash or Ethereum. Prices for a Complete Bulk Email System setup changes depending on your needs (number of servers, domains and IPs). Contact me and tell me you specifications for more information if you would like to buy with Bitcoin, Bitcoin Cash or Ethereum. Please contact me when you are ready and I'll give you everything you need to complete the payment with either Bitcoin, Bitcoin Cash or Ethereum. Want to pay with other cryptocurrencies not listed here? Contact me and I'll see what I can do. Bitcoin is a worldwide cryptocurrency and digital payment system called the first decentralized digital currency since the system works without a central repository or single administrator. It was invented by an unknown programmer, or a group of programmers, under the name Satoshi Nakamoto and released as open-source software in 2009. The system is peer-to-peer, and transactions take place between users directly, without an intermediary. These transactions are verified by network nodes and recorded in a public distributed ledger called a blockchain. 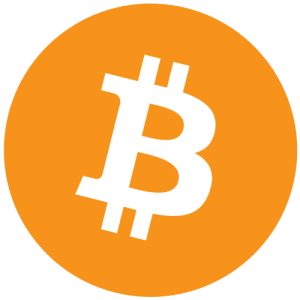 Bitcoin Cash (BCC) is a hard fork of the cryptocurrency bitcoin. The fork occurred on August 1, 2017. Ethereum was proposed in late 2013 by Vitalik Buterin, a cryptocurrency researcher and programmer. Development was funded by an online crowdsale during July–August 2014. The system went live on 30 July 2015. In 2016 Ethereum was forked into two blockchains, as a result of the collapse of The DAO project, thereby creating Ethereum Classic.